Could you build a clock out of a nob, a single-gear motor and a bicycle chain? That might seem like an impossible challenge of the sort only MacGyver could accomplish. 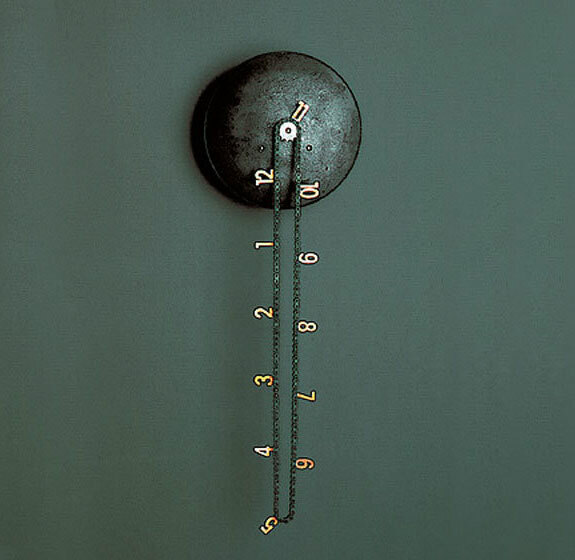 Yet that’s exact what Andreas Dober managed with the Catena Wall Clock. The Catena—named after the Latin word for “chain”—rotates a vertical bicycle chain with attached brass numbers in a clockwise direction. At the top of every hour the time appears at the zenith of the rotation. Between hours you can eyeball the amount of chain between numbers and get a surprisingly accurate estimate of the time. In the our clock photos, for example, it is approximately 11:05. Spot Cool Stuff absolutely loves the clever simplicity of the Catena’s design, as well as the look of it that’s part country house and part steampunk. We are less enamored with the Cantena’s exorbitant price tag: around $2,300! 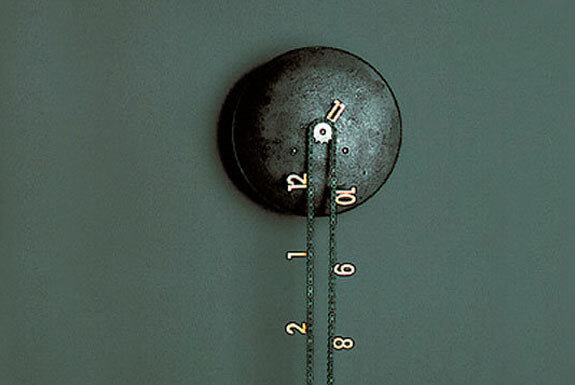 For a more traditional but much less expensive wall clock check out the customizable Spindle. Both clock are sold by Unica Home.